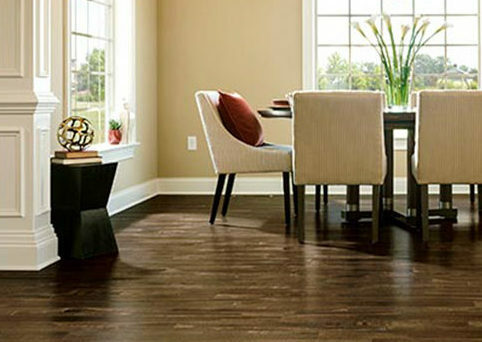 Hardwood floors represent an investment in the beauty and comfort of your home that you will appreciate for years. 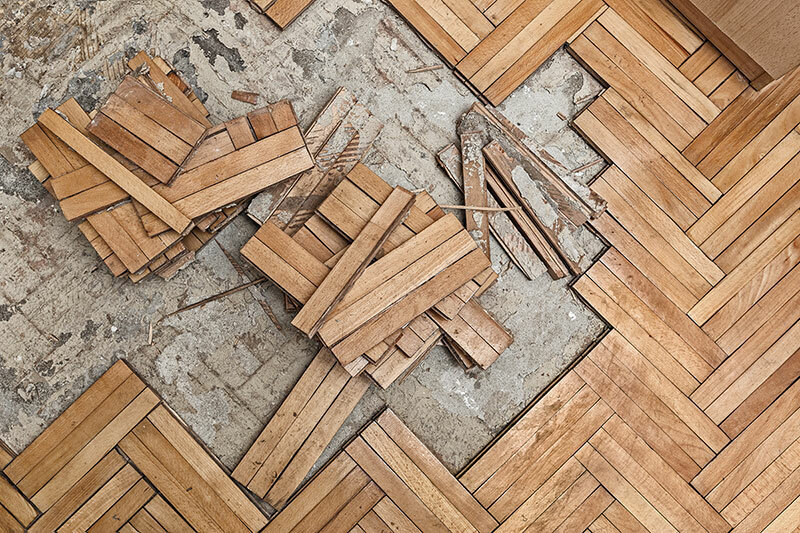 We can help you rediscover the beauty of existing floors that have suffered neglect, damage, or normal wear and tear over the years. Refinishing services that add beauty and value to your hardwood floors. With routine maintenance, a wood floor may occasionally need a new coat of finish. Often, deep scratches or worn spots are created due to high levels of foot traffic. This results in the need to have the floor sanded to the bare wood. We are trained professionals that know how to use wood resurfacing techniques to bring those tired hardwood floors back to excellence. Hardwood floor refinishing begins with sanding down to the bare wood removing scratches, dents, and of course the old stain and finish. Then you pick a stain color. You can even request a special blend of stain just for your hardwood floors. The last step is choosing a finish sheen. Just like paint, there is satin, gloss, or a high-gloss finish to protect your hardwood floors and make them shine. Oil Based Polyurethane Wood Floor Finishes – We can refinish your wood floors with the most durable oil-based protective polyurethanes. Water Based Polyurethane Wood Floor Finishes – Today’s water-based finishes for hardwood floors are tough as nails and hold up as well as oil finishes. We can refinish your wood floors with the most durable protective polyurethanes. With routine maintenance, a wood floor may occasionally need a new coat of finish. Often, deep scratches or worn spots develop from very heavy wear or an item being dropped . Sometimes, this results in the need to have the floor sanded to the bare wood. 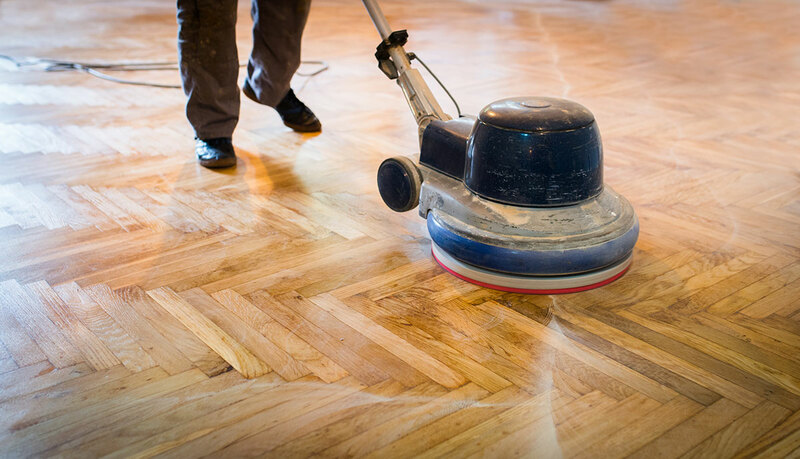 Many professionals recommend to sand and refinish wood floors routinely every few decades. The effects of aging on hardwood are inevitable. If you accept this fact, it will help you appreciate the character of an older floor. Distressing (the random scratches caused by day-to-day use) and fading are natural, and if they are not excessive, they can add to the appeal of your floor. Some problems though, such as broken boards and flaking finishes, can detract from this appeal. 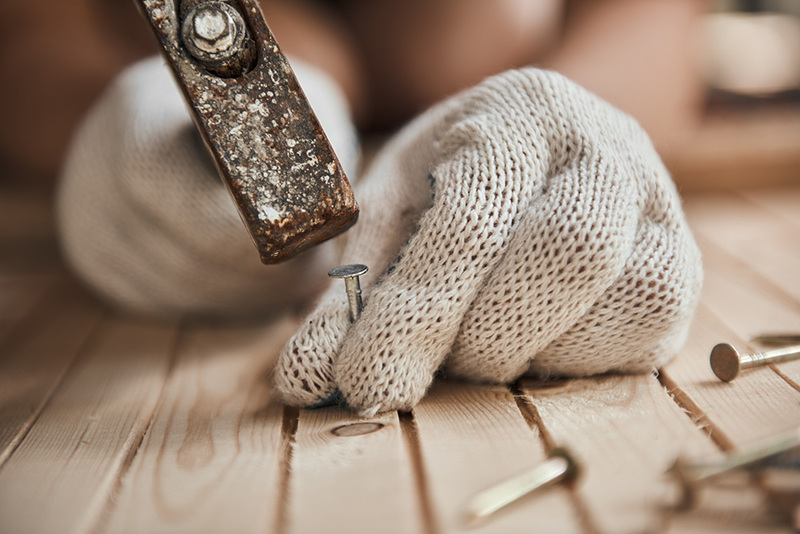 If you need to replace a few boards or completely refinish your floors, contact First Class Wood Flooring today. Over the years, many hardwood floors develop small splits or cracks in the surface of the wood. These can be spot repaired with some angled nails to secure the two pieces together, along with some wood putty to hide the blemishes. If your floor is suffering from large cracks, however, you might want to think about refinishing the floor. And if the split is particularly bad, you should probably replace the damaged plank altogether. Another common hardwood floor malady is the development of gaps between planks. The most common causes of gaps between the boards is Mother Nature. Wood shrinks as it dries out and expands when it gets wet and humid. That regular expansion and contraction over time is the most common cause of gaps, and is the main reason why most gaps are seasonal in nature. The natural process of things will tend to close gaps as the weather and humidity changes. As a rule, if the gap is less than the thickness of a dime, your flooring is normal and there’s nothing to worry about. If your gaps are more persistent, you might need to call us to tighten up your hardwood floor so that they cease to be a problem. A buckled floor happens when the boards warp and lift up from the subfloor that they are attached to. You’ll most likely need to call in our installers to identify the root of the problem if buckling is an issue. Once the cause of your buckling has been identified, we take the necessary measures to ensure that your hardwood planks are firmly attached to the subfloor so that the problem no longer persists.